In red-fronted lemurs, colour has been distributed inequally: Only males bear the eponymic red forehead. In females, this area is grey coloured. Both genders weigh between two and three kilograms and become only half a meter in size, measured without tail. 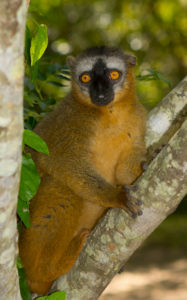 Until 2008, scientists thought the red-fronted lemur to be a subspecies of the similar looking rufous brown lemur or red lemur (Eulemur rufus). 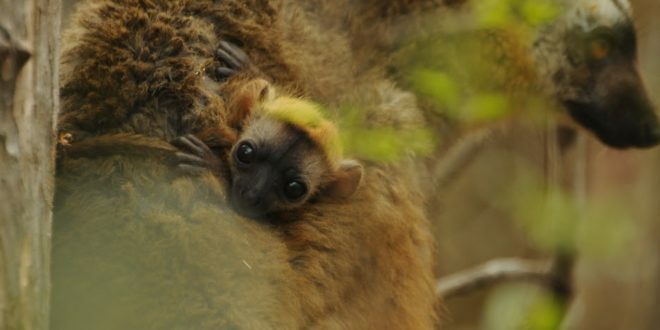 Then, US-American researcher Russell Mittermaier published genetic studies that proved the red-fronted lemur being an own species and gave them the species name Eulemur rufifrons. 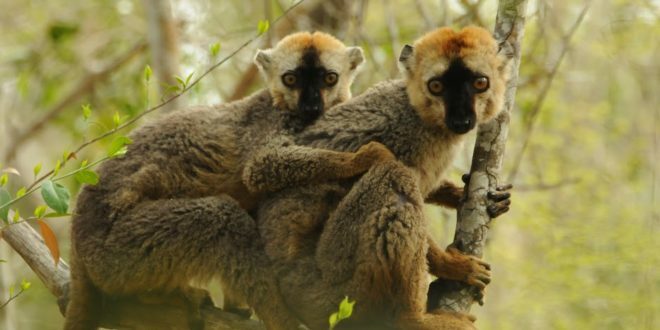 The southern half of Madagascar is the homeland of these curious lemurs, in the west from Tsiribinha river and Kirindy to Isalo, Zombitse-Vohibasia and Toliara (Tuléar), in the east from Onive and Mangoro rivers to Ranomafana and Andringitra mountains. 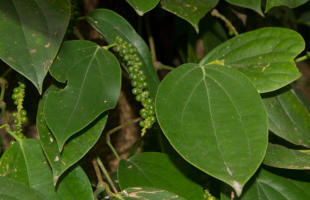 In the west, they settle dry forest, in the east rainforests. 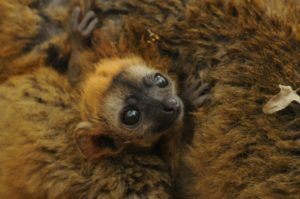 And the habitats could not be more different: Red-fronted lemurs can get used to rain all year long as well as to extreme long droughts and big heat. Their biggest advantage in contrast to other species is that they change territories relatively easy and do not rely on one single area. Red-fronted lemurs have strong family bonds. One family consists of eight or nine individuals at average. They mutually care for the young of the group, support each other in foraging and fur care. 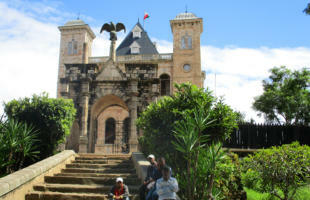 They are cathemeral, which means they can be day or night active, depending on given opportunities. It is conspicious in red-fronted lemurs that behaviour and family bonds differ depending to their habitat. Animals in the west act and live different to those in the east. Probably this traces back to higher population density of red-fronted lemurs in western Madagascar. In the full sense of the word, the western red-fronted lemurs have to come closer together. 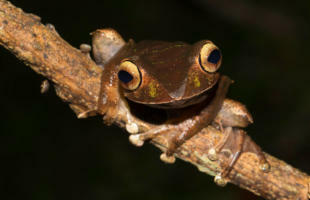 So the territory of a group in the eastern rainforests may become up to one square kilometer in size, while groups in the west have to cope with much smaller space to live. And there are even more differences to be revealed between east and west: In the west, one males dominate the matings of his group. 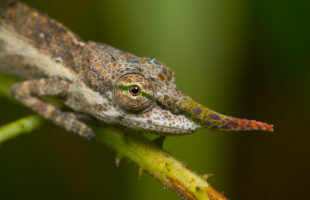 In the east instead, females usually mate several males. There are even differences concerning the diet. 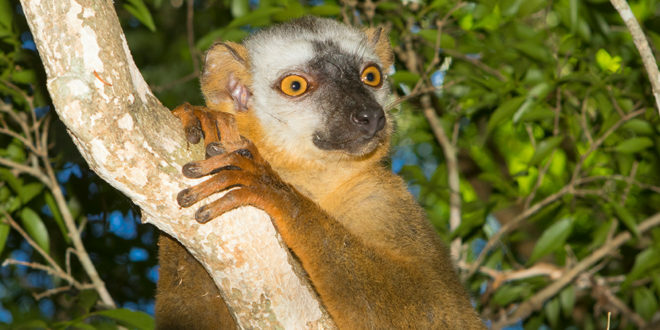 While leaves are a major part of the lemurs’ diet in the dry west, red-fronted lemurs in the east may draw on insects and much more fruits, too. Only mating and offspring are similar in both populations. Most matings take place in June, so youngs are born in September and October. Thus raising the offspring occurs during rainy season which means best food supply. These make best starting conditions for the young lemurs that have to learn yet how to leap through the trees and how to pick the right food. 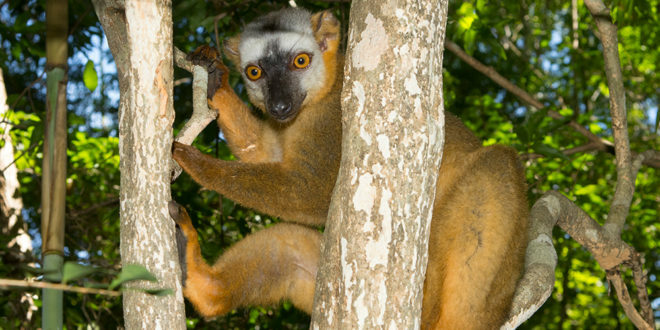 At the age of three months, young lemurs try their first trips in the trees without their mothers. But they are not sexually mature until the age of two or three years. 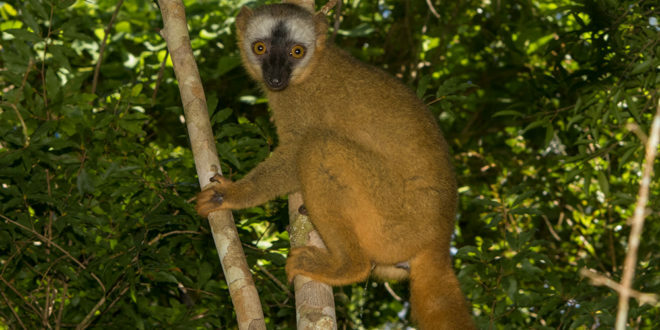 Population numbers of red-fronted lemurs have been declining as in almost all lemurs of Madagascar. Due to their high adaptability and few segmented habitats, there are still rather large populations. That is why IUCN list them only as “near threatened” on the red list of threatened species. 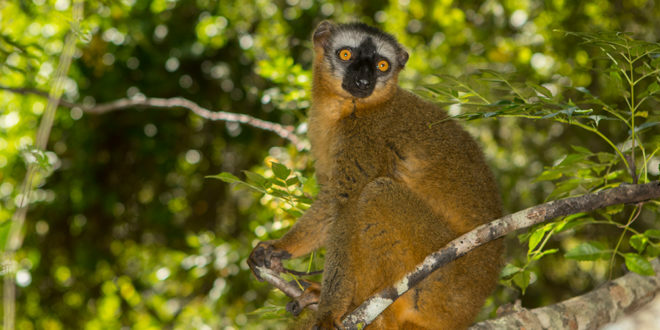 But red-fronted lemurs have to face a special danger that has nothing to do with the destruction of their habitat: They are hunted for bush meat. 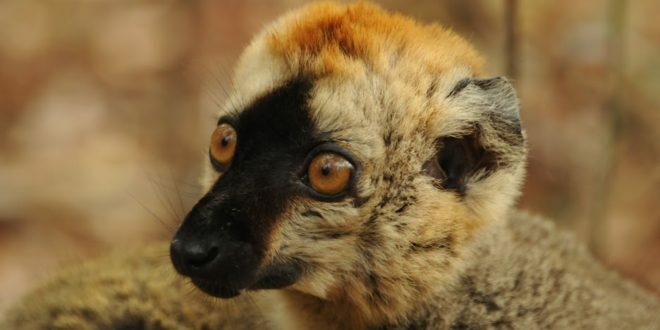 Black markets and restaurants sell red-fronted lemur meat illegally on the quiet, making them the most eaten lemurs of Madagascar. A very sad title that lets the animals pay for their confidingness. 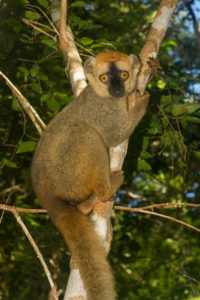 Let’s hope this species will not decline as much as other lemur species on the red island in the future.